A few weeks ago, I hosted our book club and decided it would be fun to go with a theme for the evening. 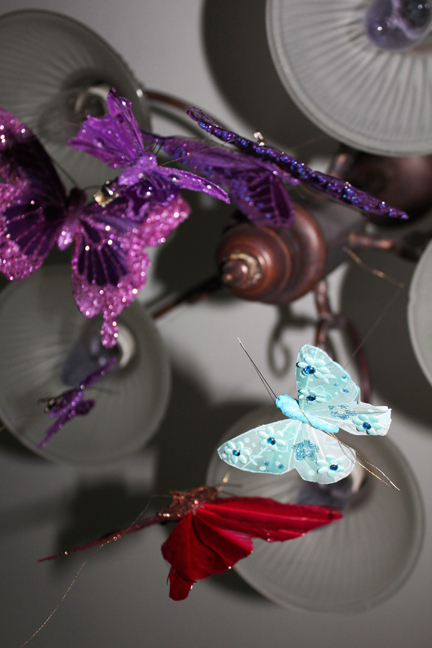 Everything from the decorations to the food to the book selection included butterflies. I had a blast getting everything ready and I think the girls enjoyed the theme, too. This week I’ll be sharing some of the ideas and recipes. 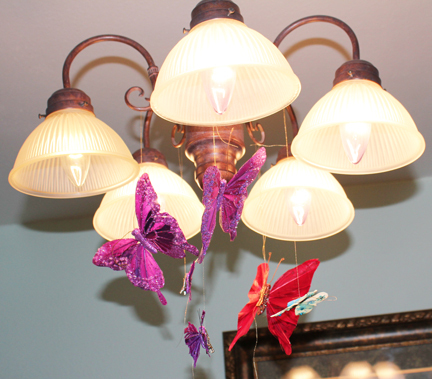 To set the scene, I hung butterflies in various colors from the light in the dining room, where I knew we’d be spending most of the evening. I got the butterflies at the craft store and looped a piece of gold thread over the curly brackets on the light, then clipped the butterflies to the thread. It looked pretty cool, if I do say so myself. 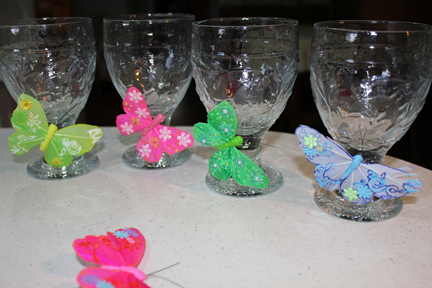 For an added touch, I used butterflies on wires and wrapped them around the base of the drinking glasses. Not only was it fun and added a touch of whimsy, it was also easy to remember which glass belonged to who. 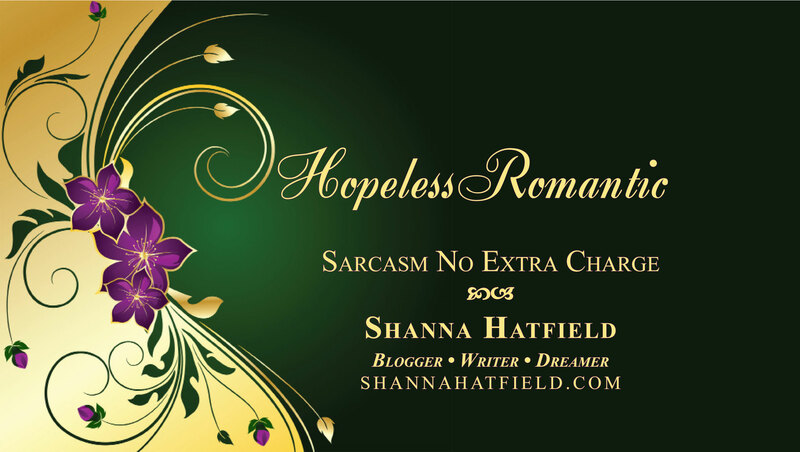 It was kind of like using wine charms, only with big butterflies. Serioiusly, you have to be in a pretty grumpy mood not to smile when you’re drinking out of a glass with a butterfly on the stem. 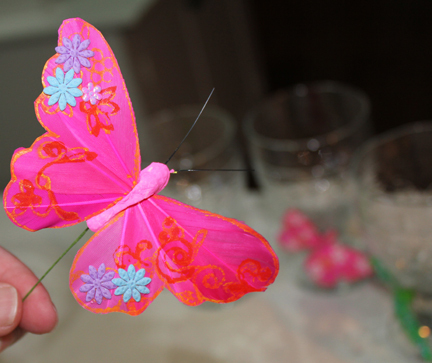 Stay tuned the rest of this week for more butterfly party ideas and recipes!